Inspired by the fiery warm evening sunsets. 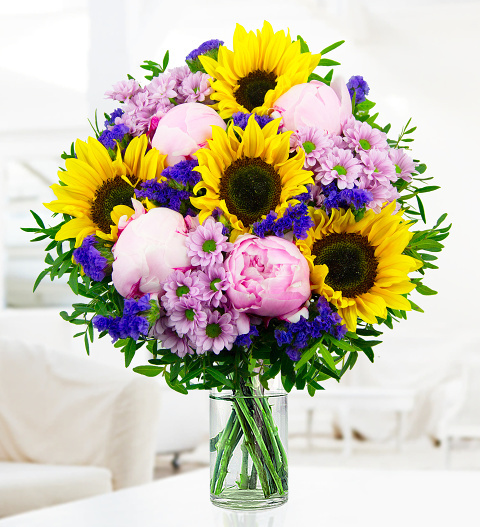 This arrangement is beautifully arranged with seasonal Peonies, shining sunflowers, ocean blue statice, zantini chrysanthemums and forest fresh greens. A truly delightful arrangement expertly hand tied for your recipient. Chocolates may contain nuts.